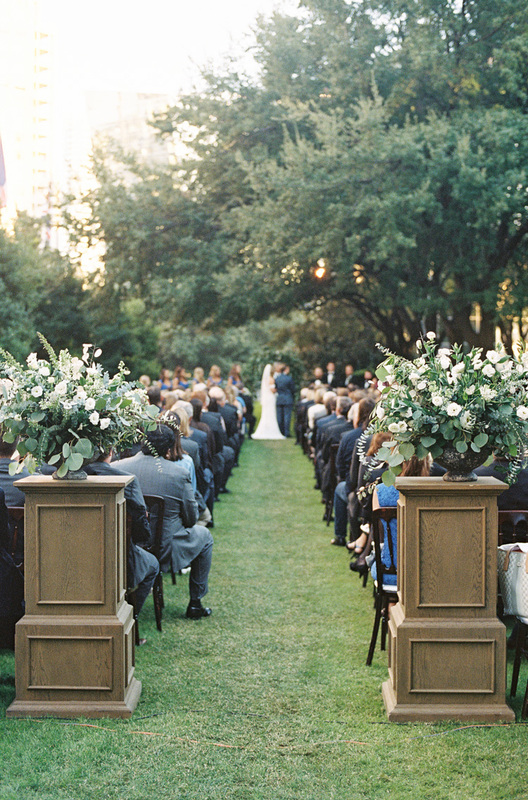 Talk about an amazing venue. 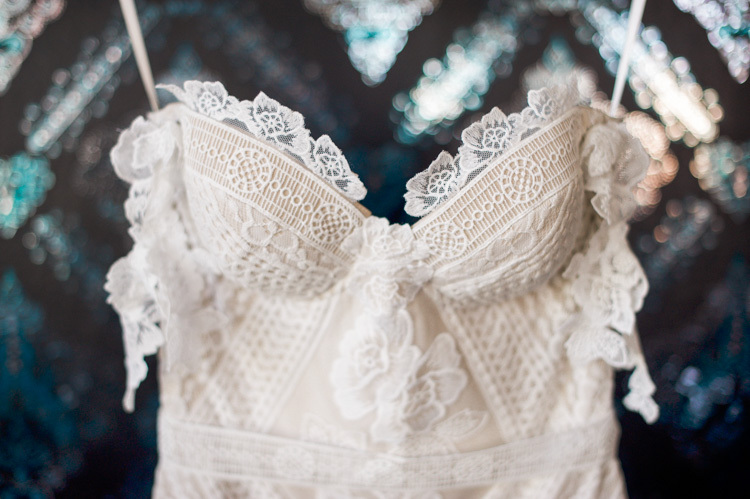 An even more amazing dress. 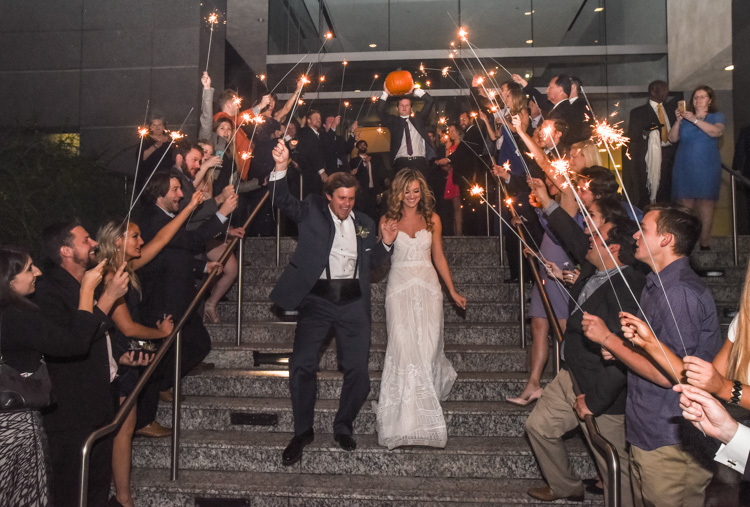 And the most fun-loving couple ever! 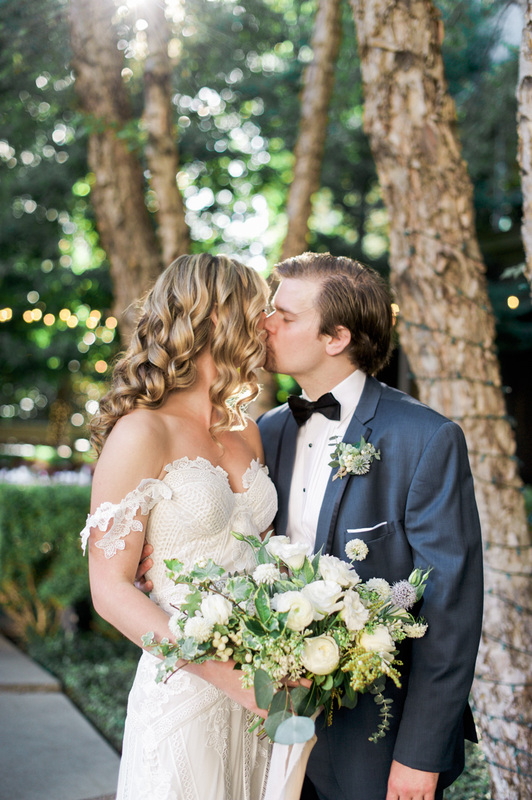 I absolutely love shooting weddings at Marie Gabrielle Gardens. 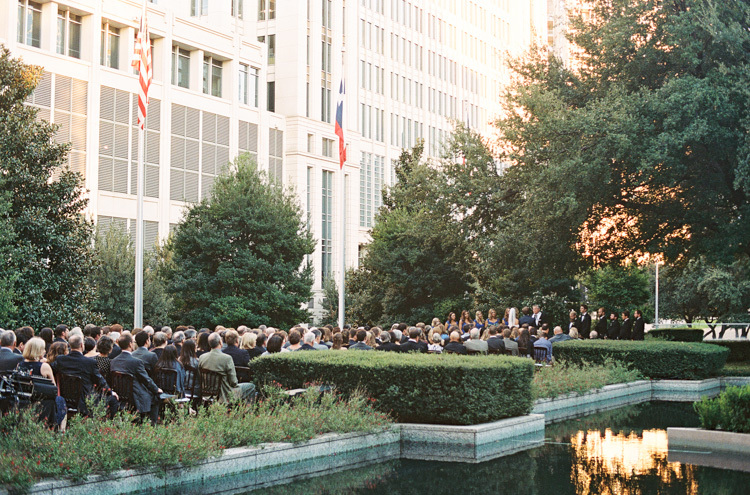 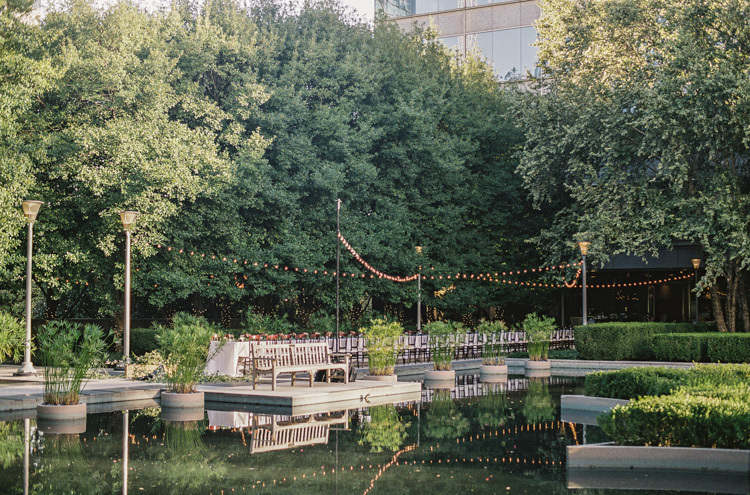 You would never guess it was located in downtown Dallas. 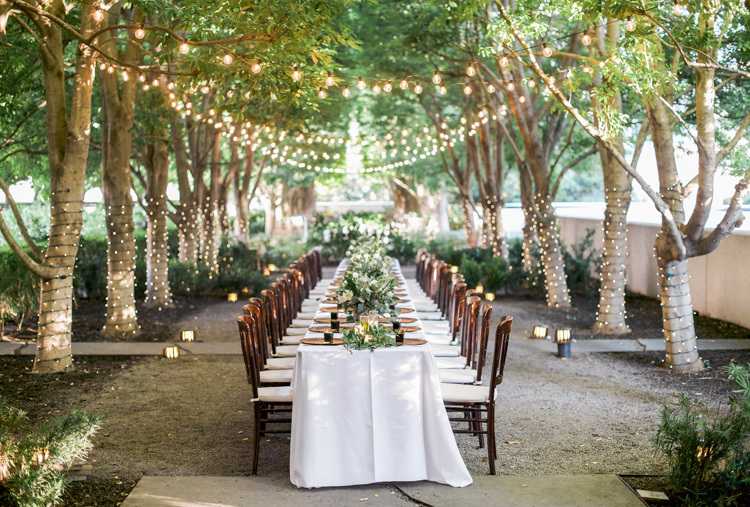 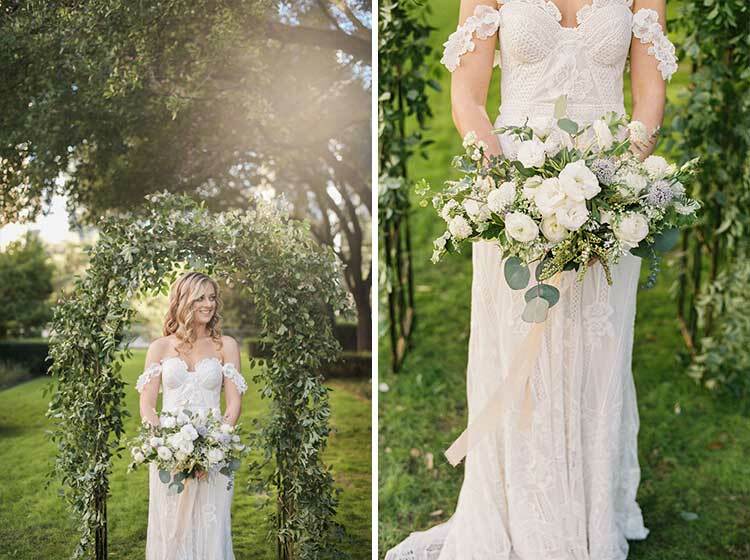 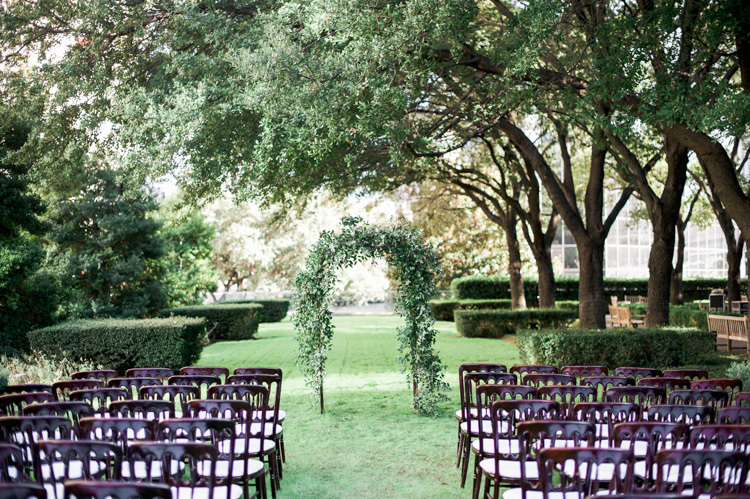 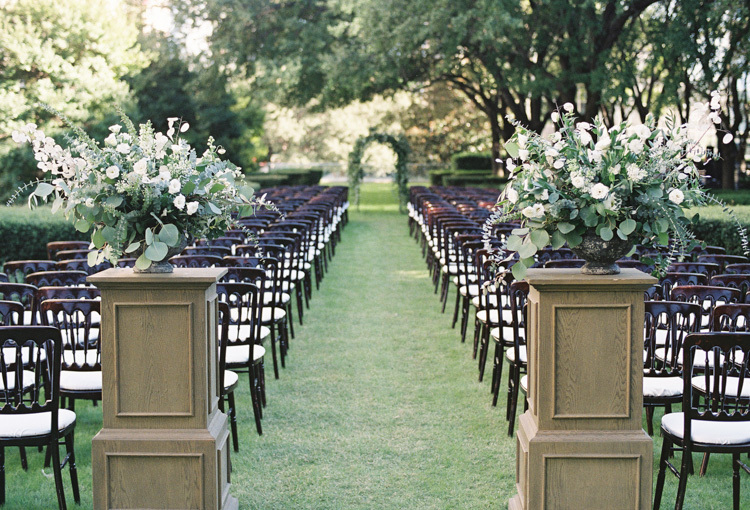 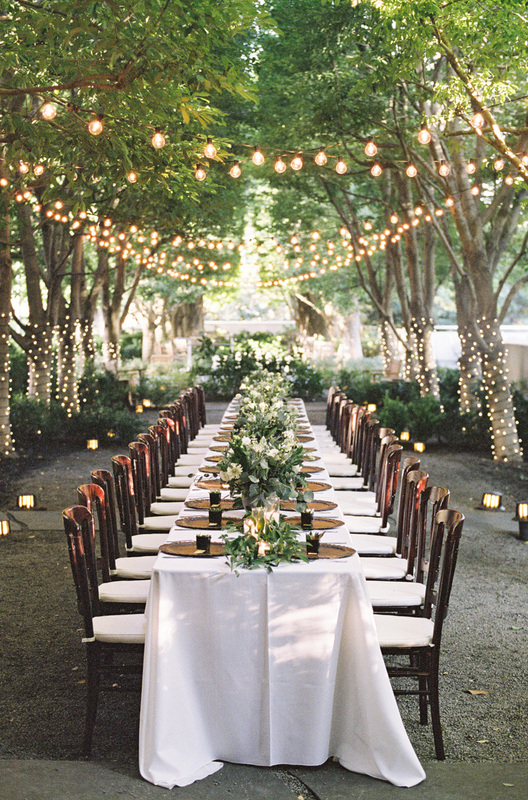 Such a gorgeous tree-lined outdoor venue that boasts plenty of lush areas to photograph! 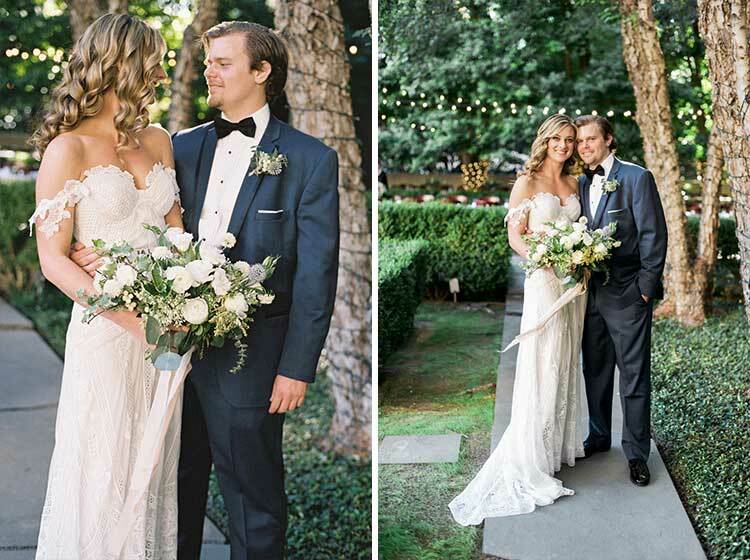 Camille’s dress (one of my favorite dresses to date!) 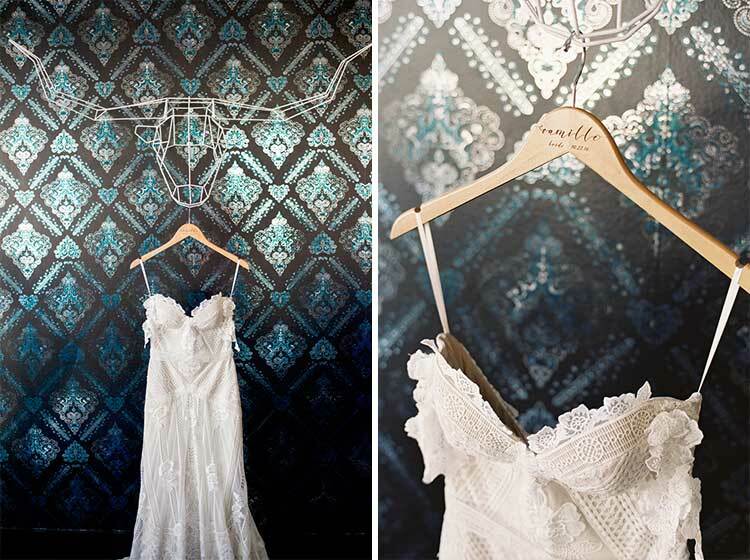 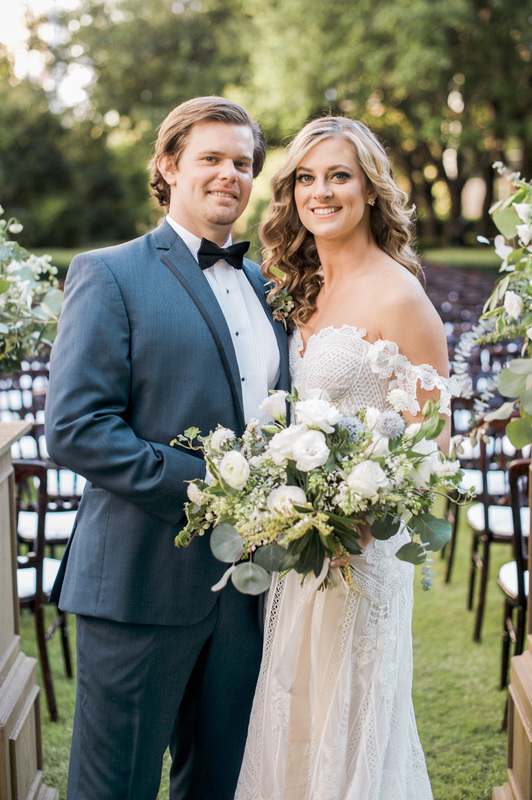 was the beautiful Fox gown by Rue de Seine Bridal. 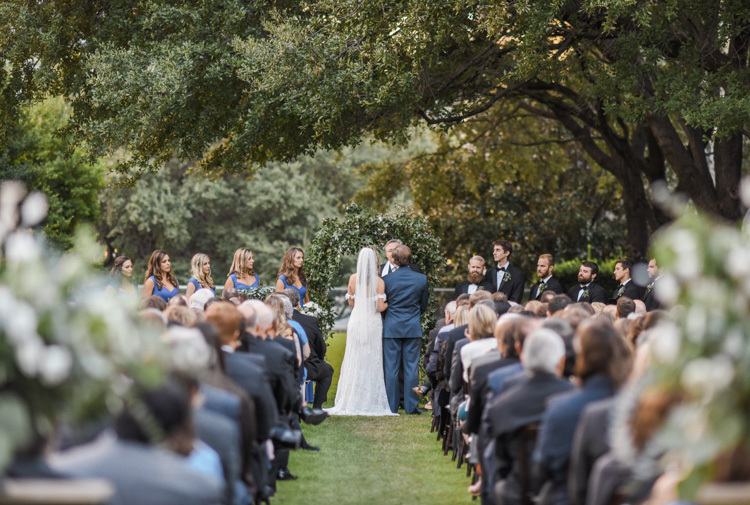 Being a Dallas film wedding photographer, I’m lucky to get to photograph weddings in places like Marie Gabrielle. 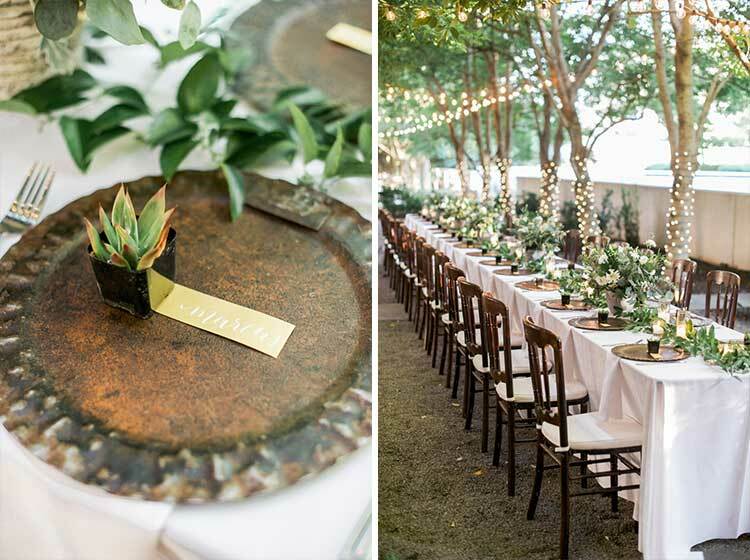 Camille and Kramer had an amazing team of wedding professionals, including Grit and Gold (coordination & design) who’s use of long, rectangular tables and cafe lights throughout set the perfect mood for their organic, romantic event. 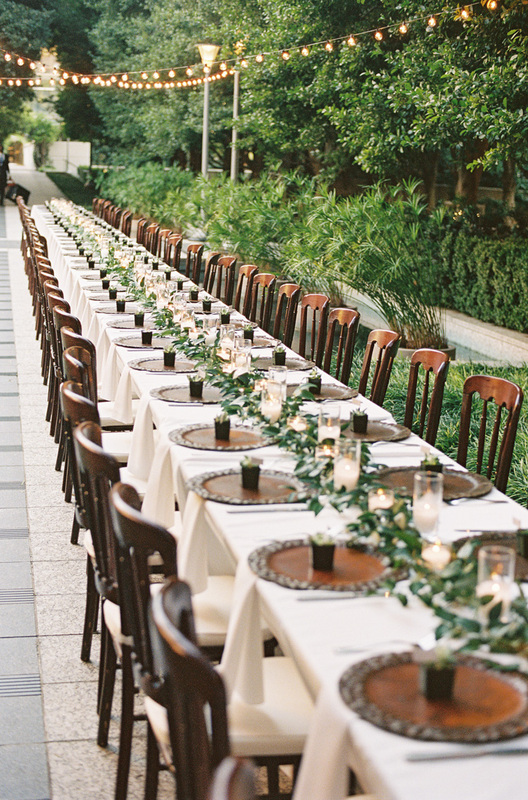 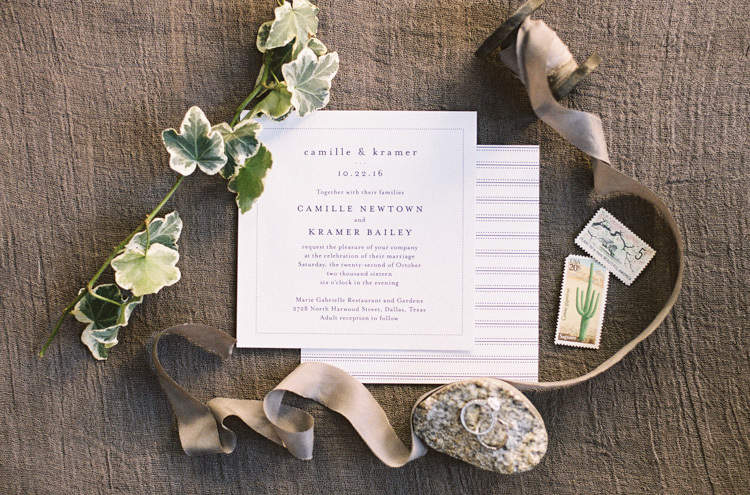 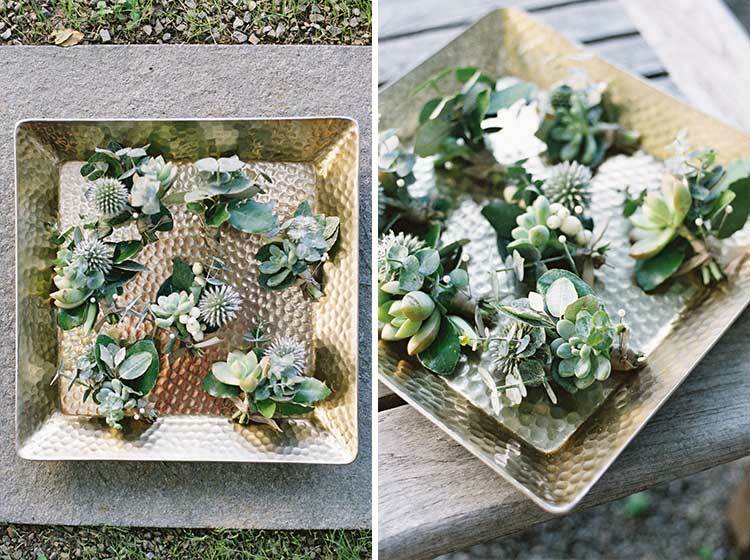 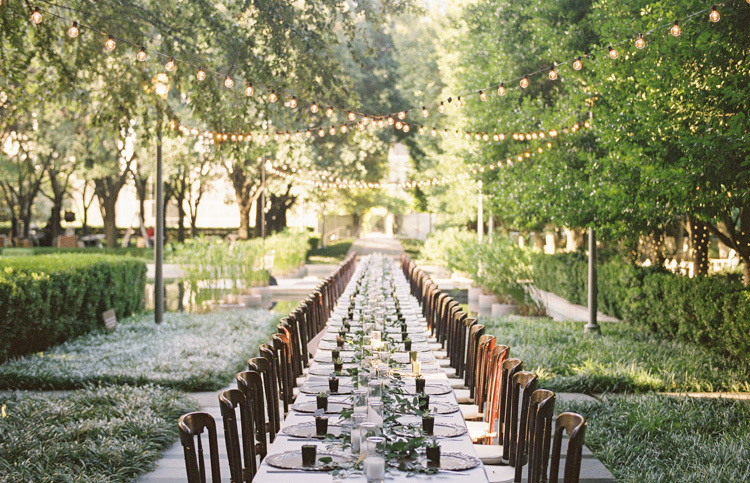 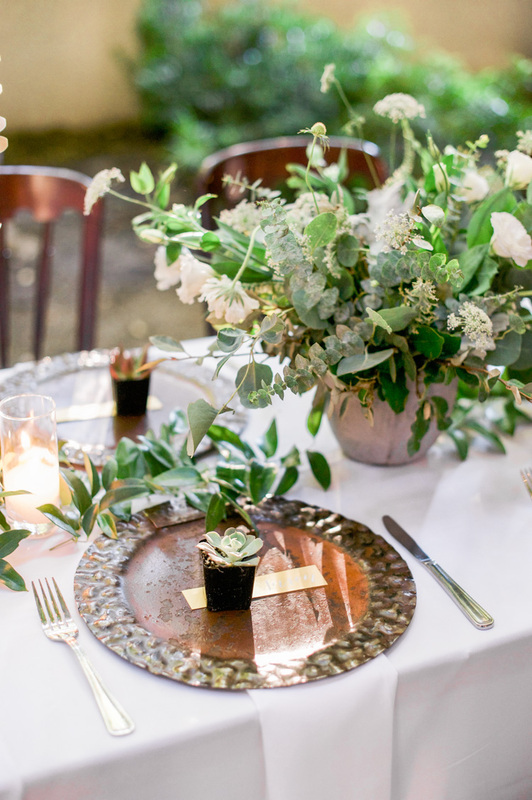 Florals by Oh Deery lined each tablescape, with mini succulents placed on each copper charger. 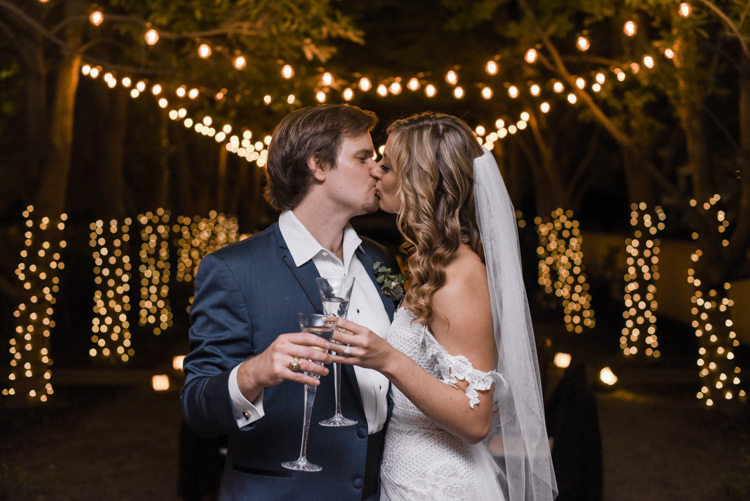 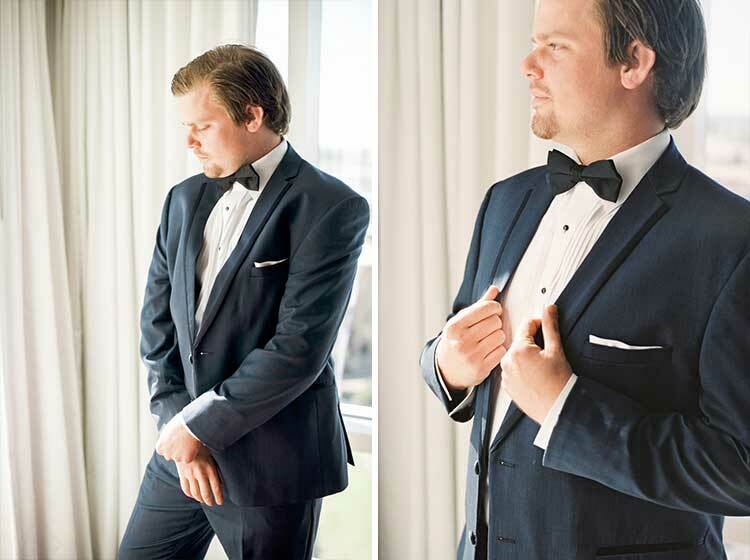 It was a fine art wedding photographer paradise! 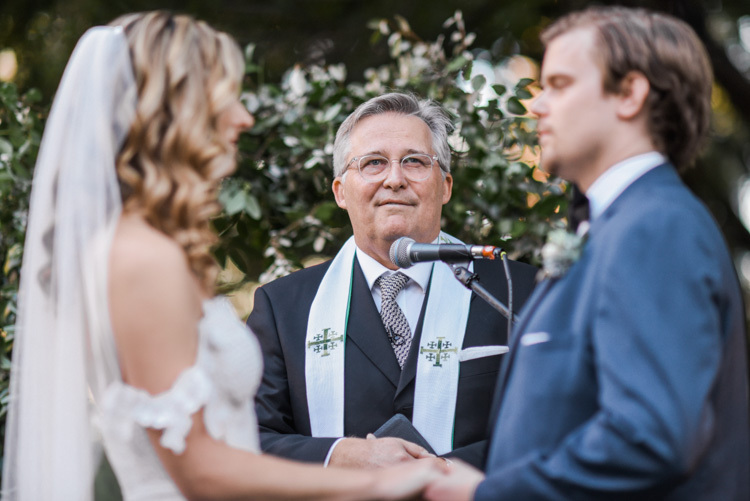 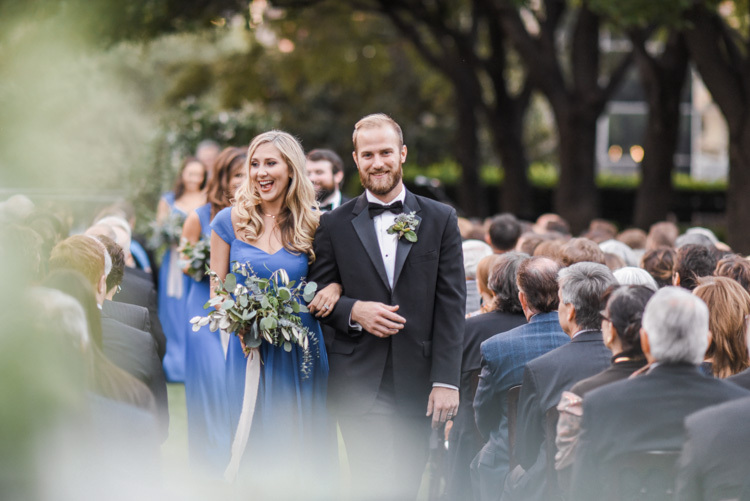 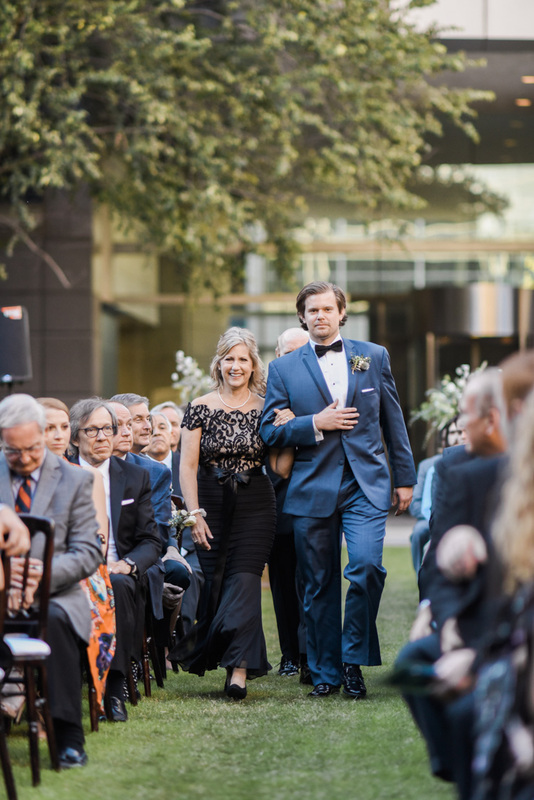 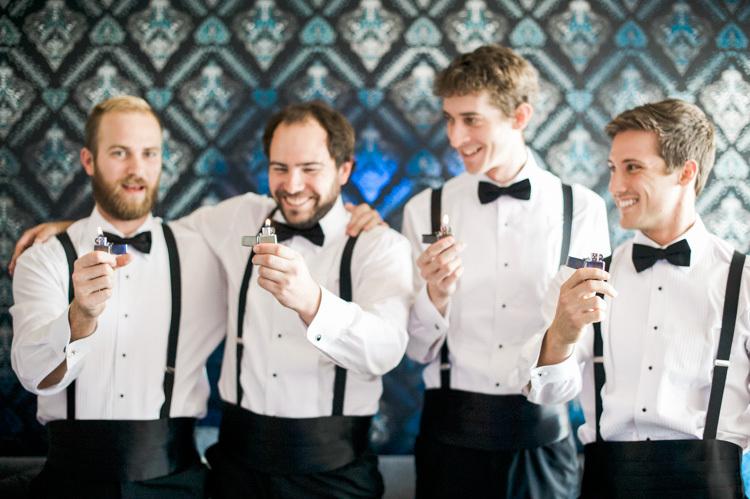 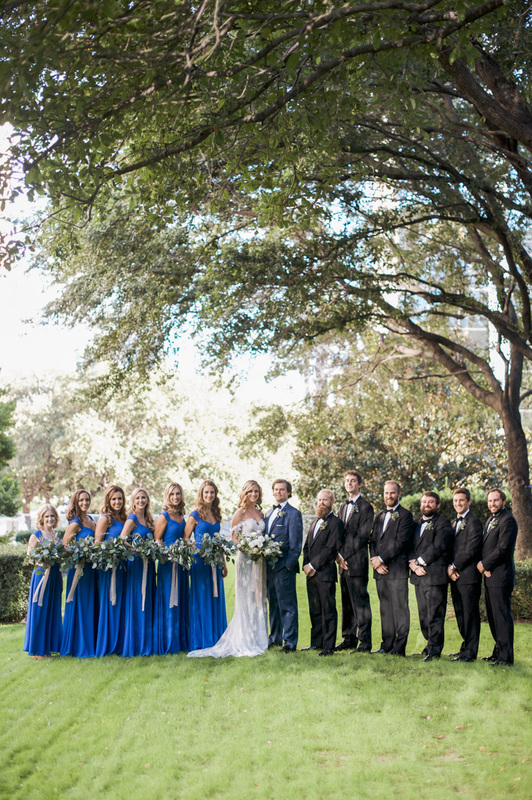 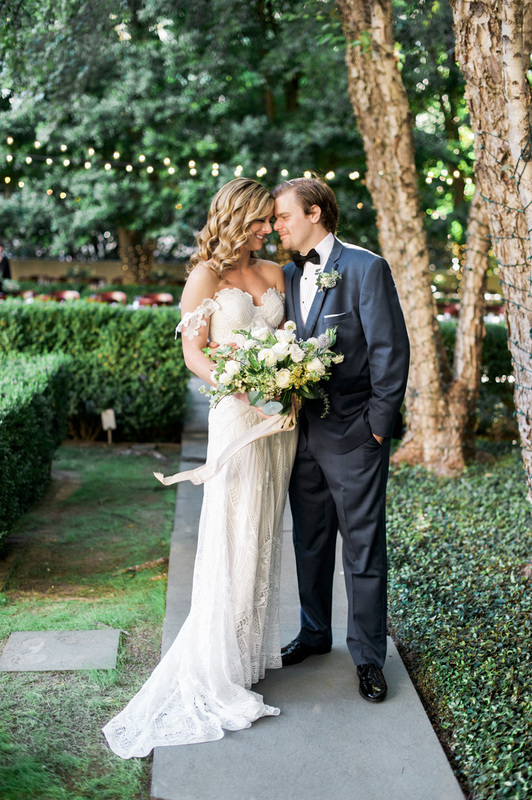 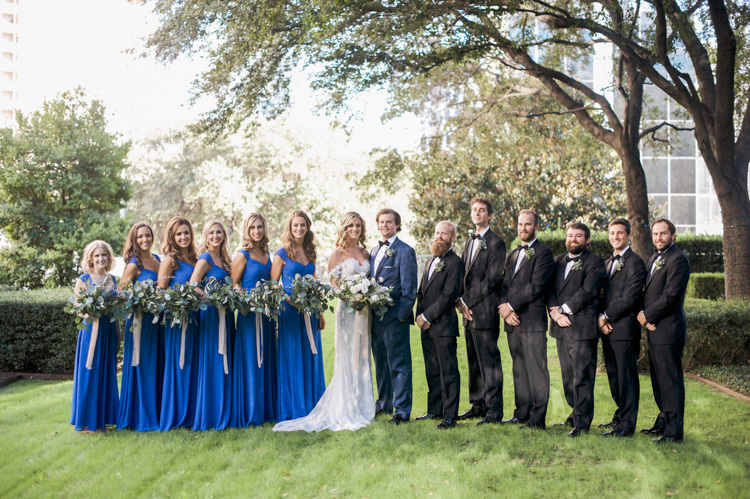 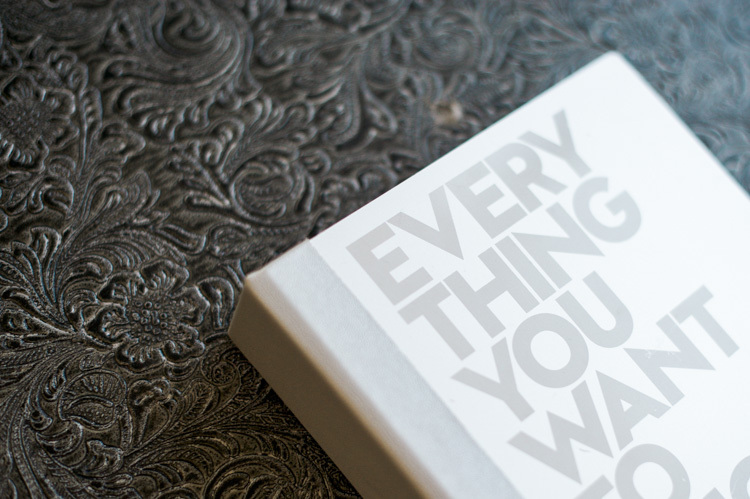 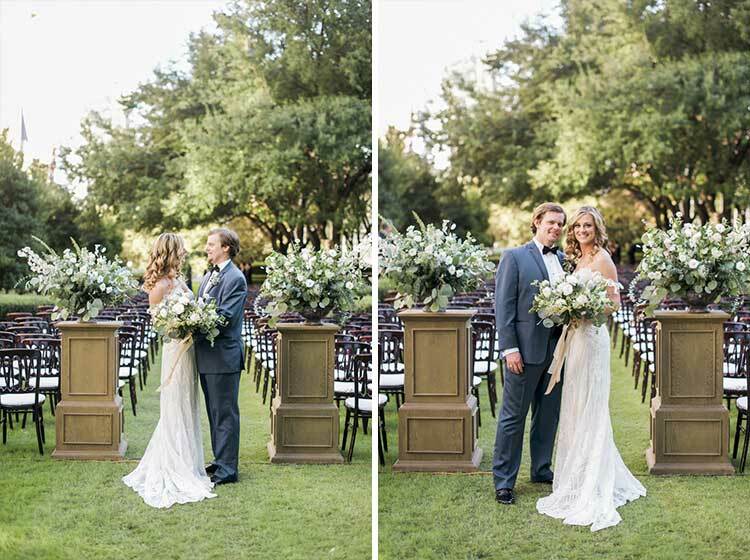 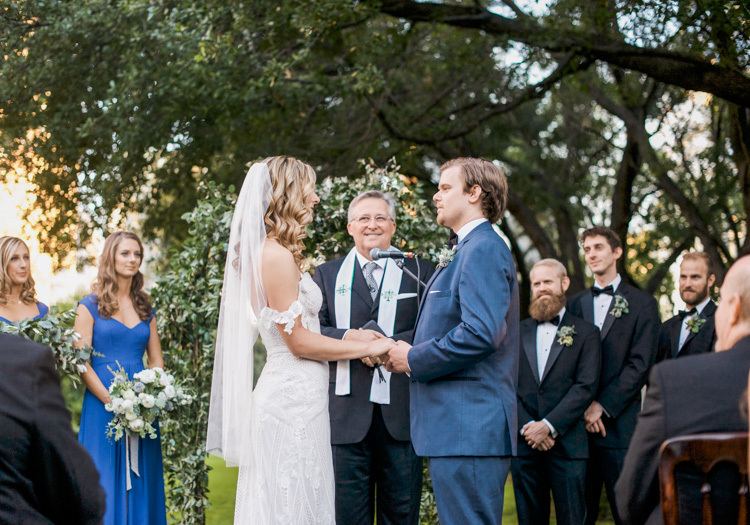 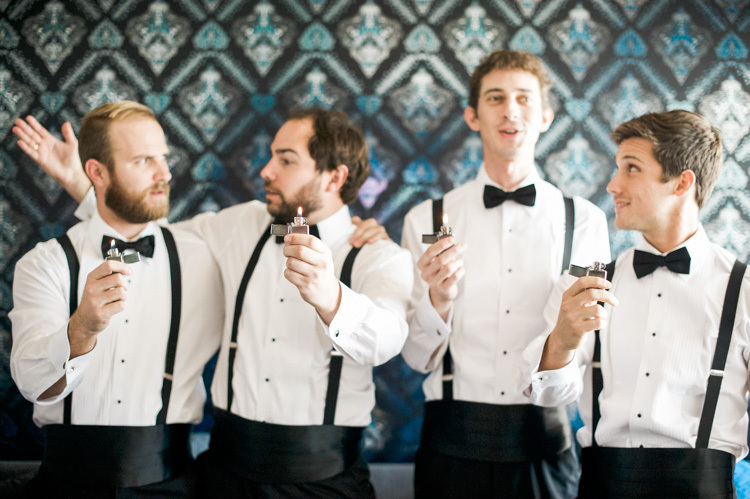 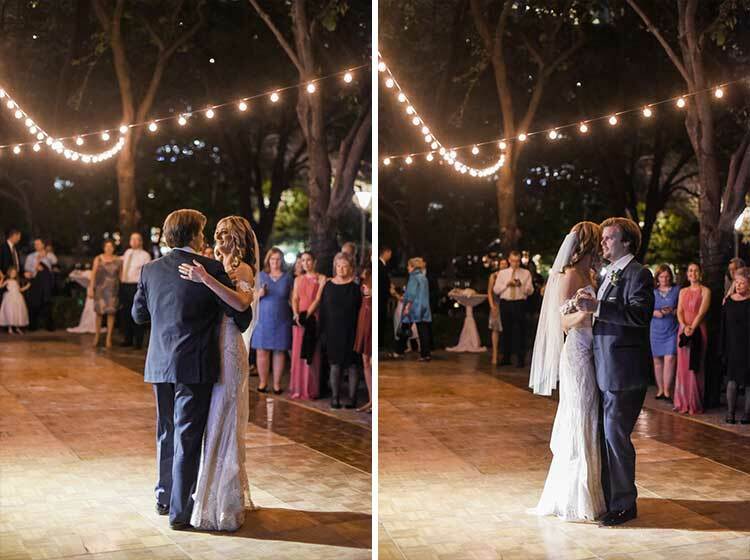 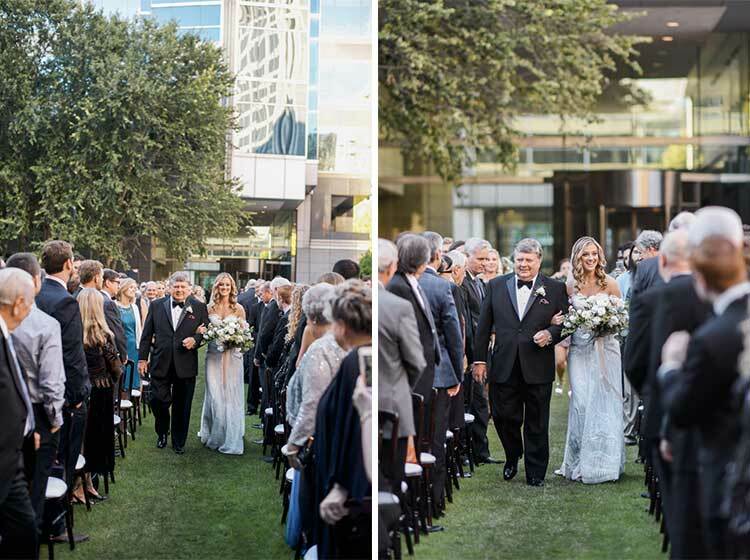 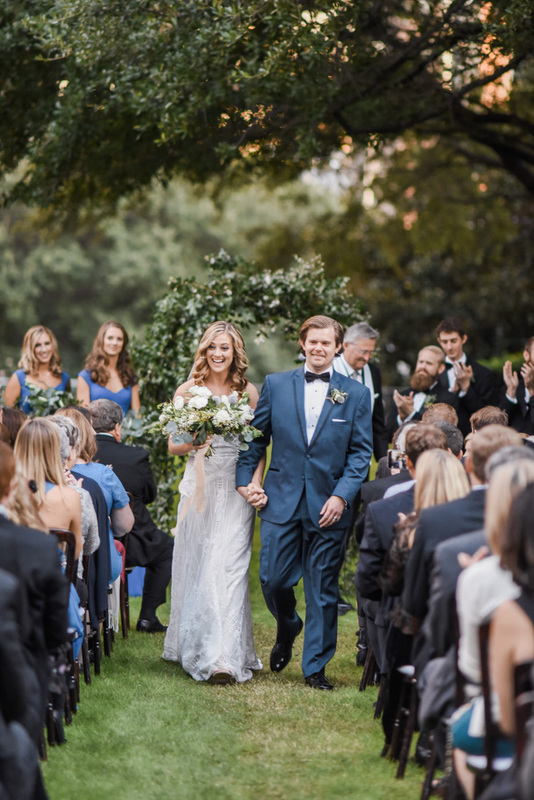 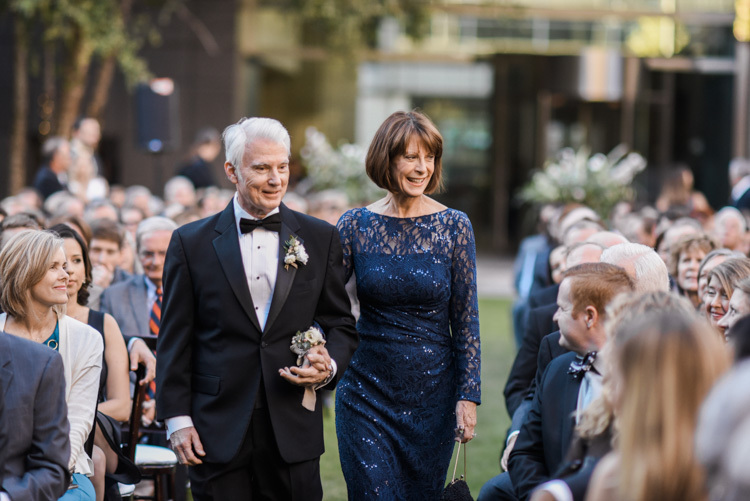 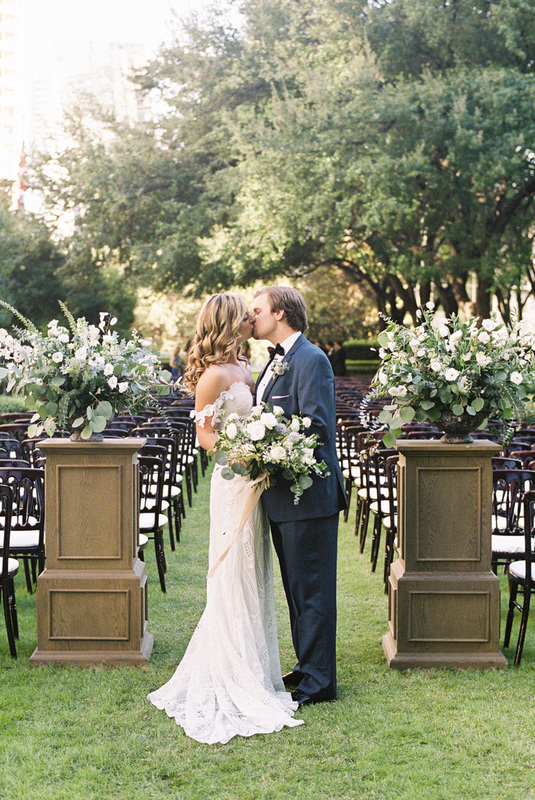 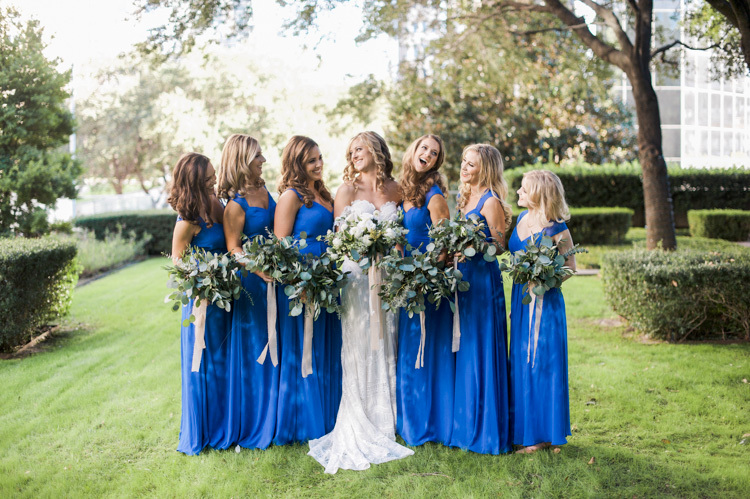 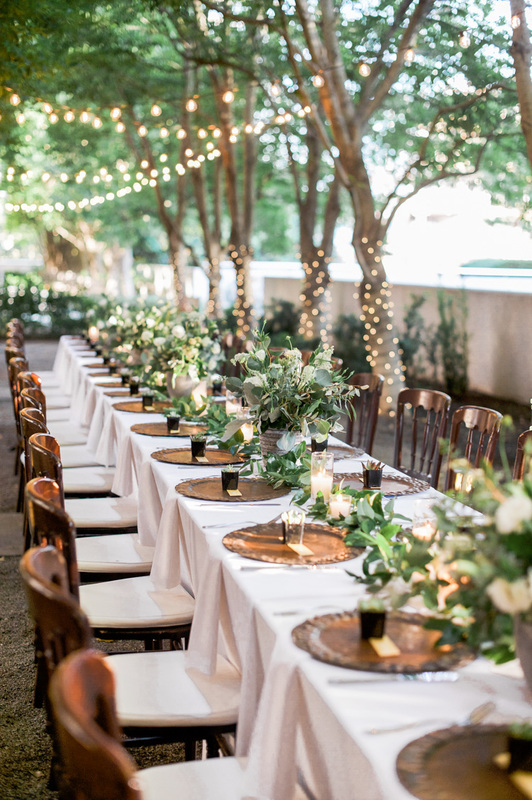 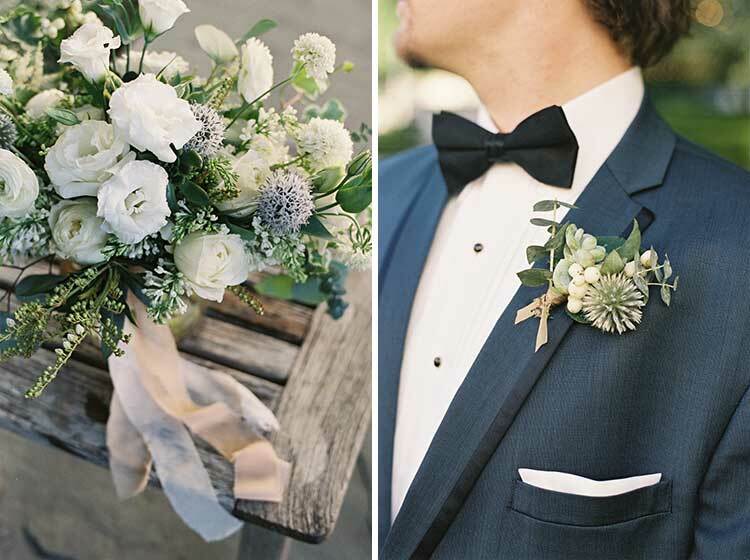 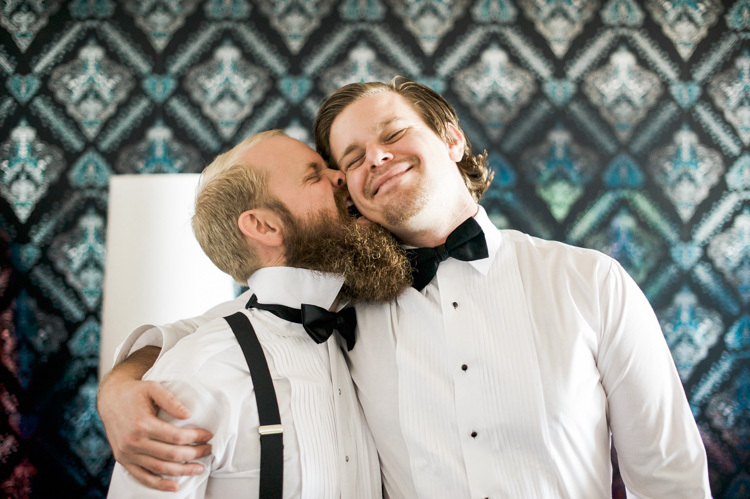 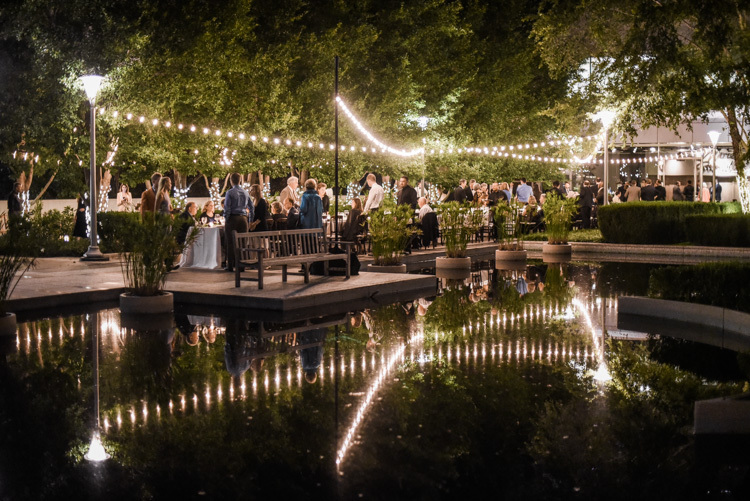 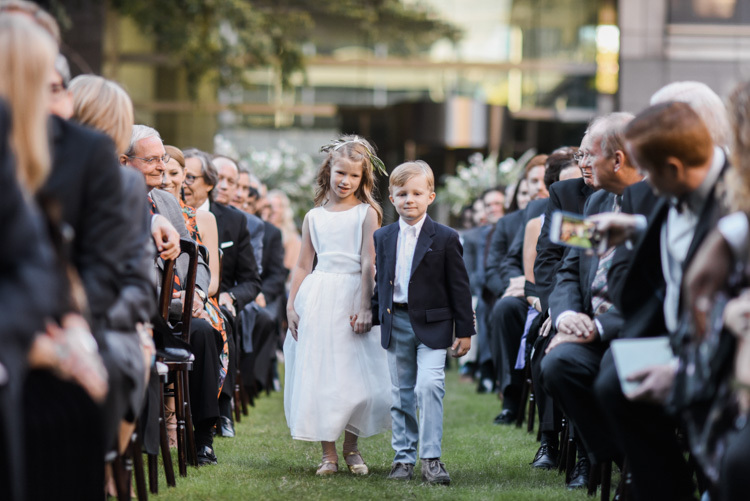 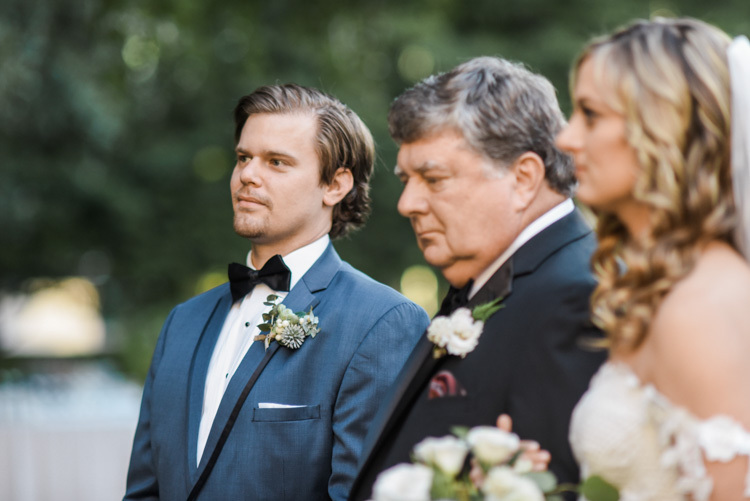 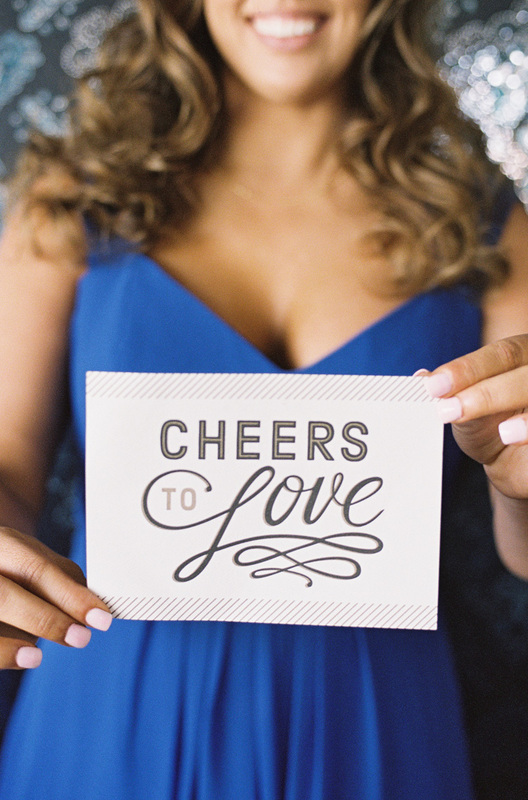 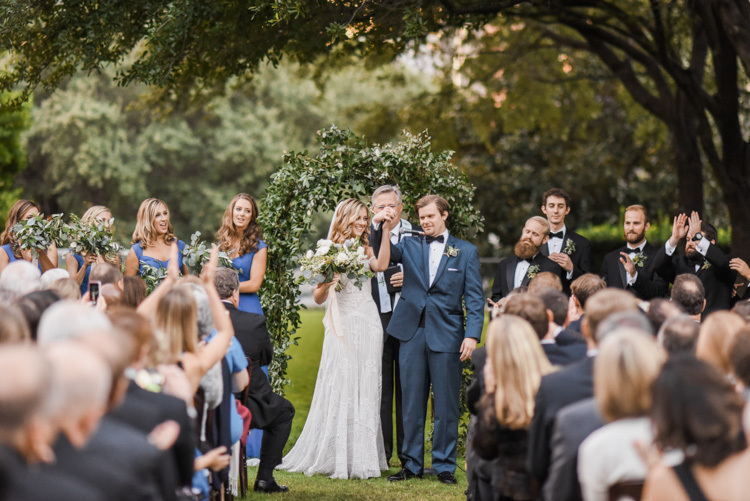 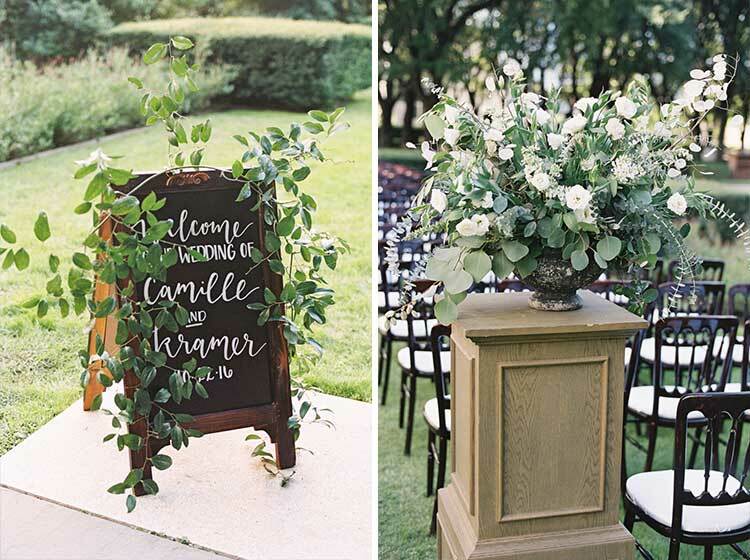 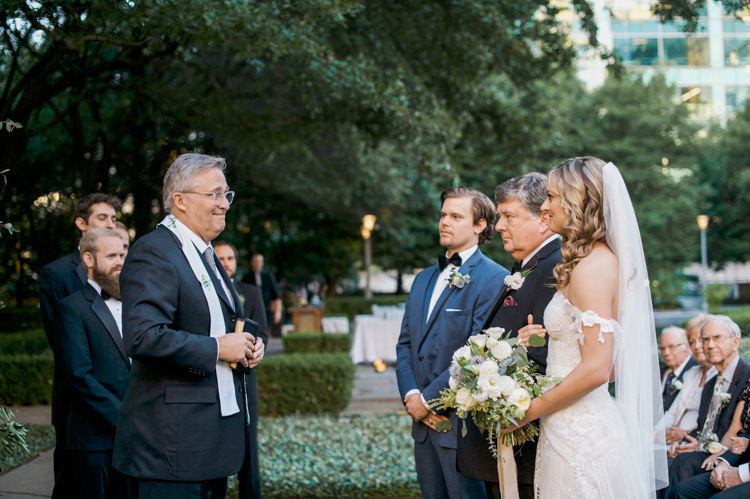 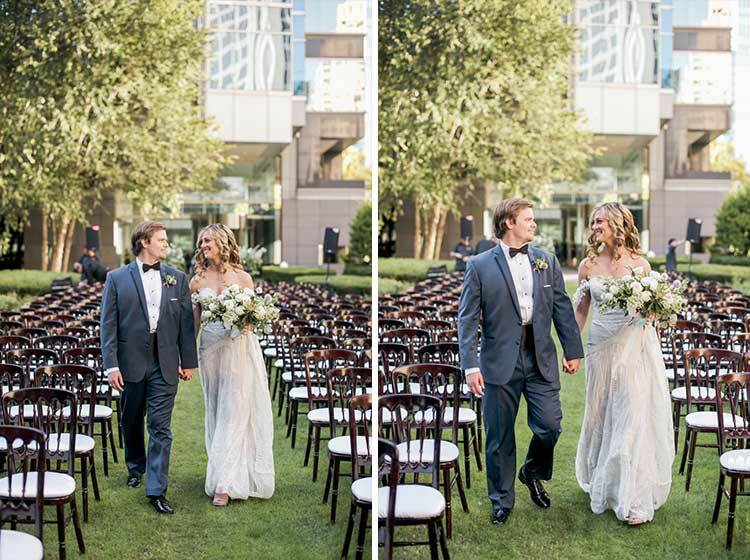 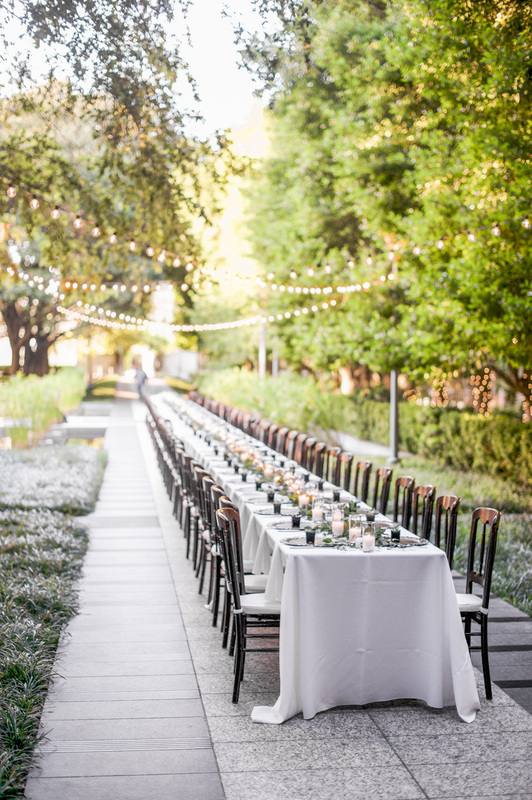 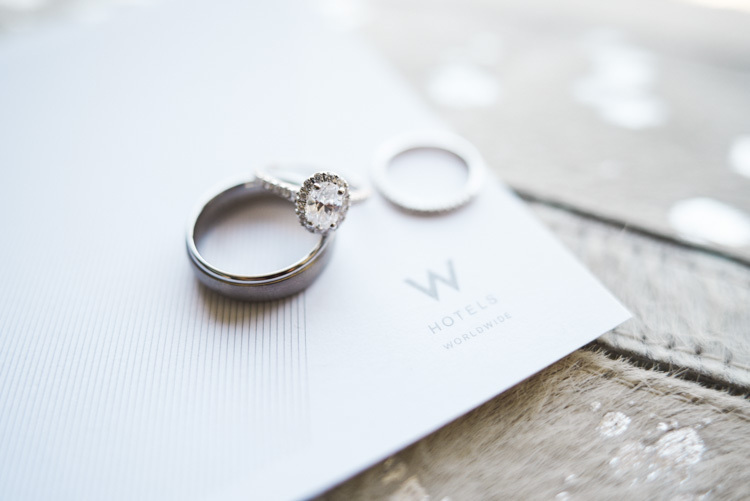 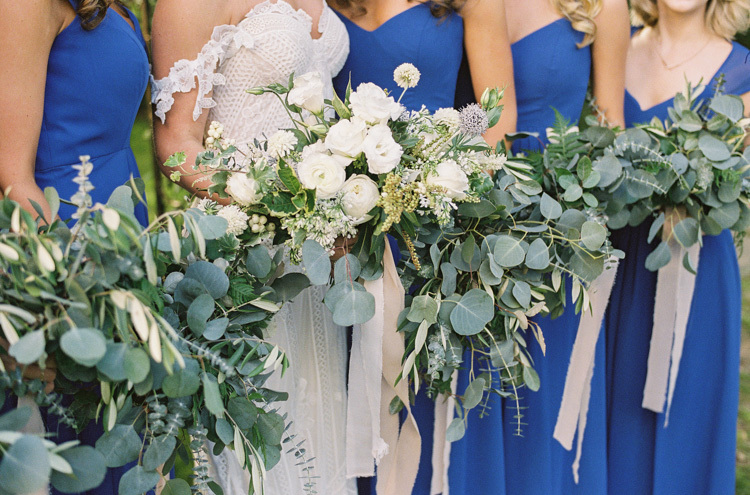 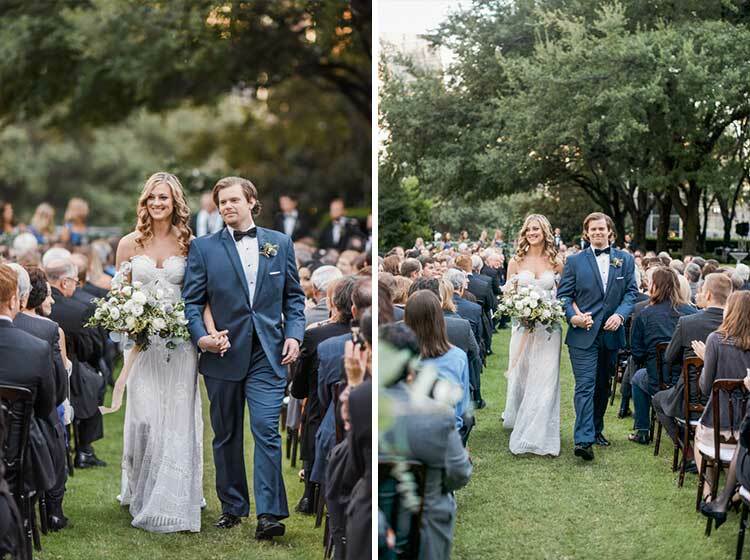 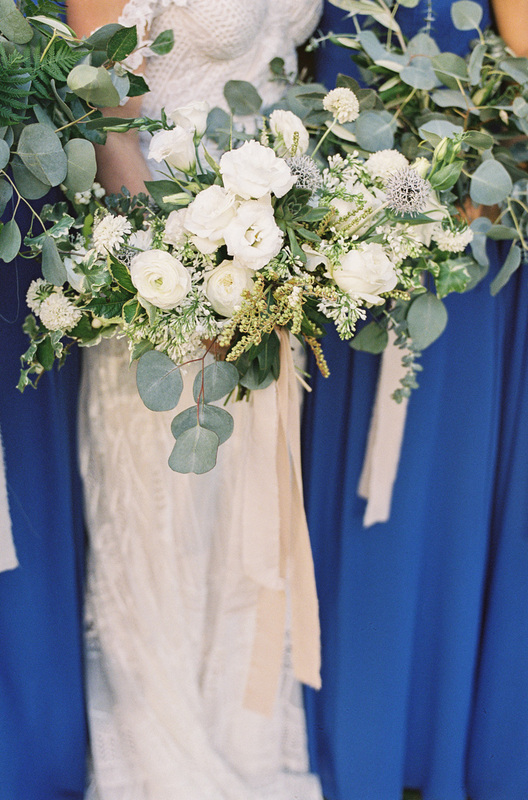 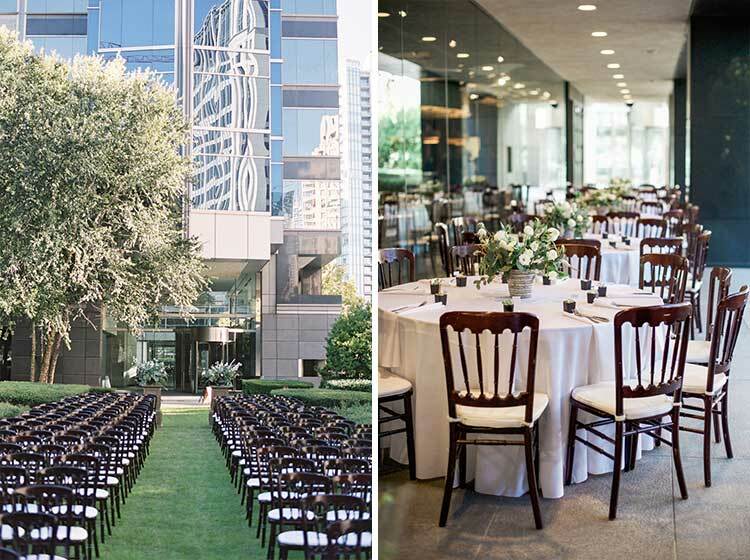 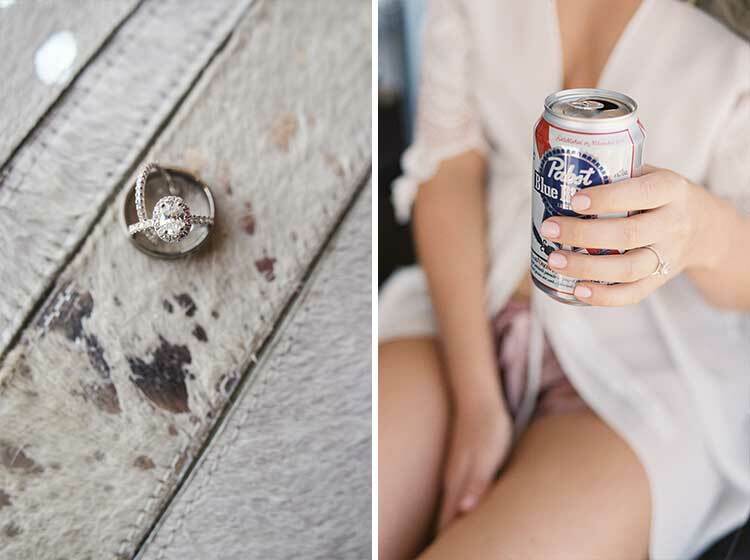 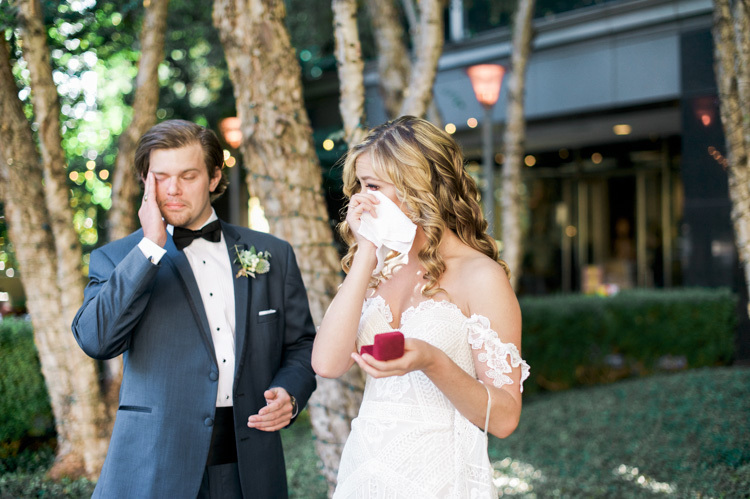 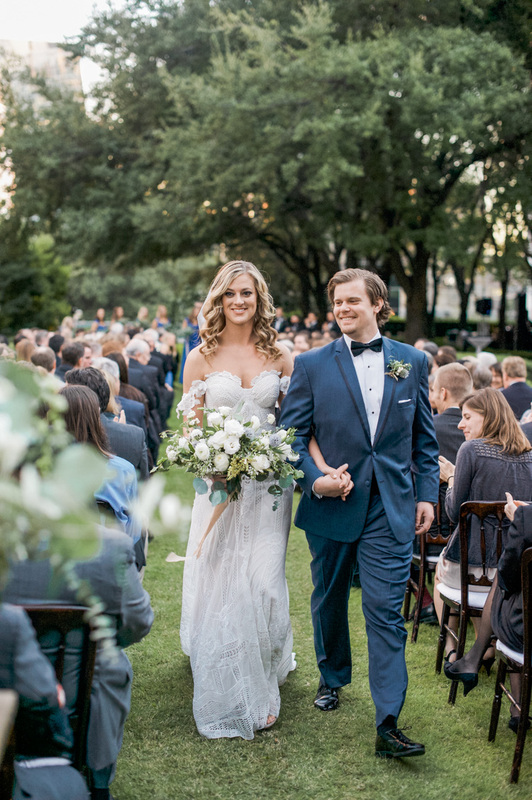 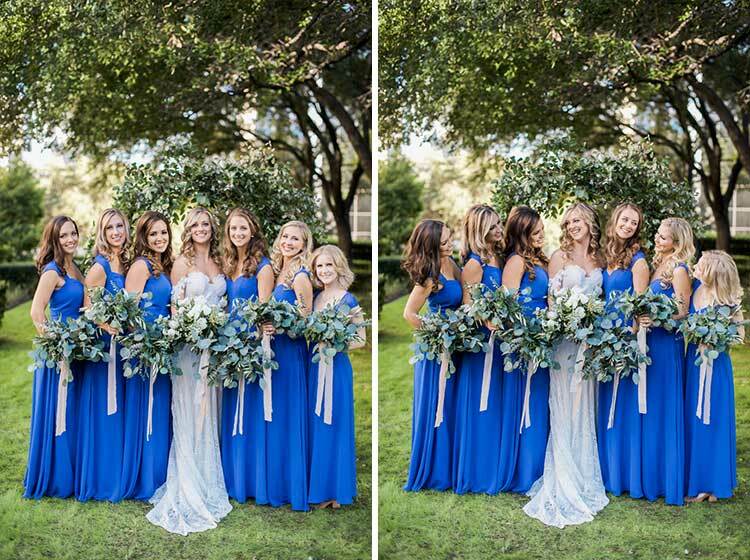 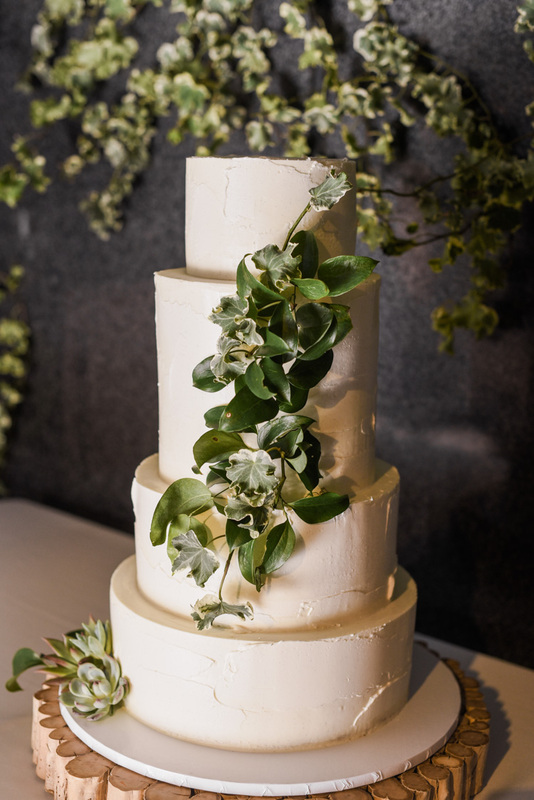 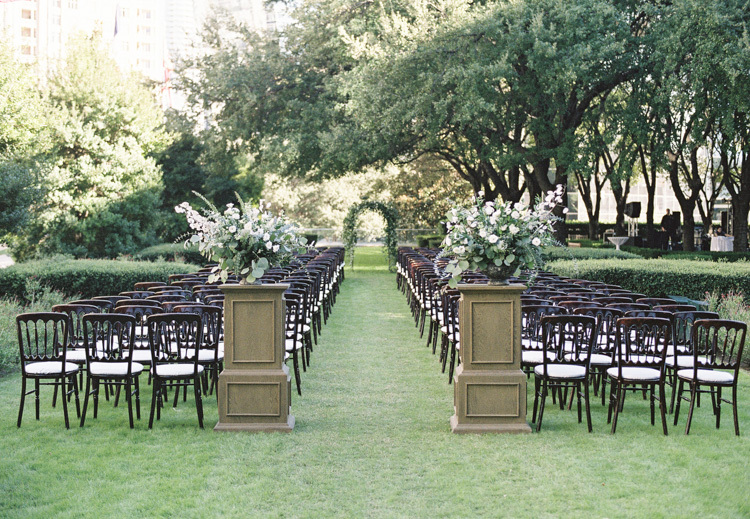 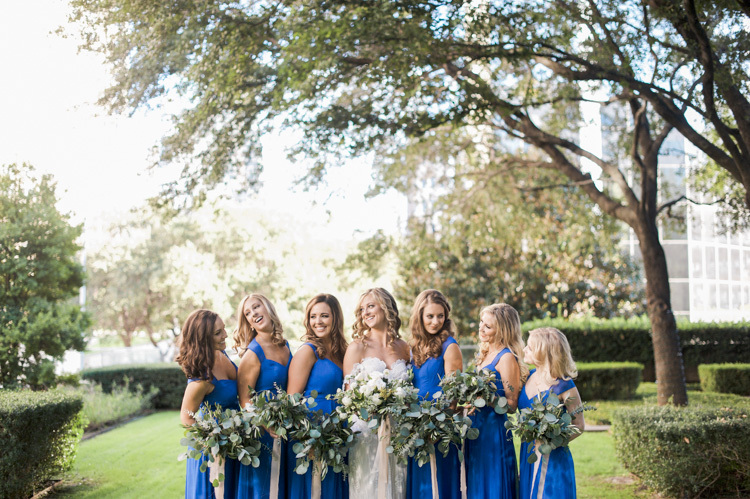 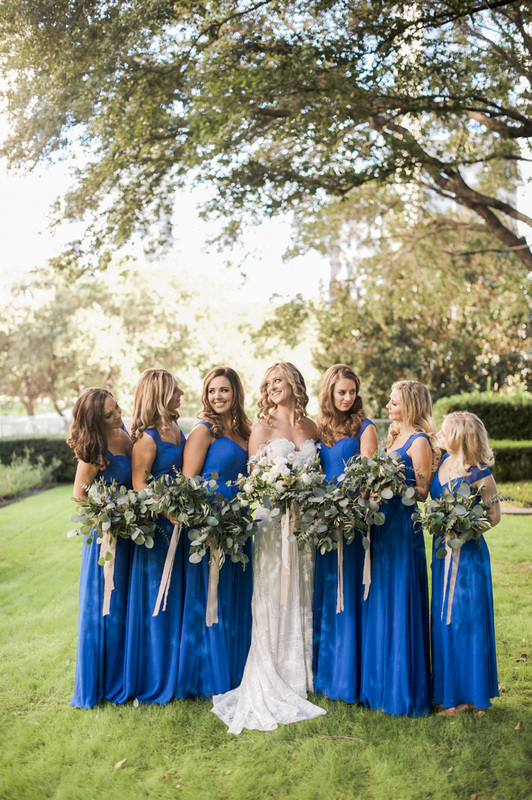 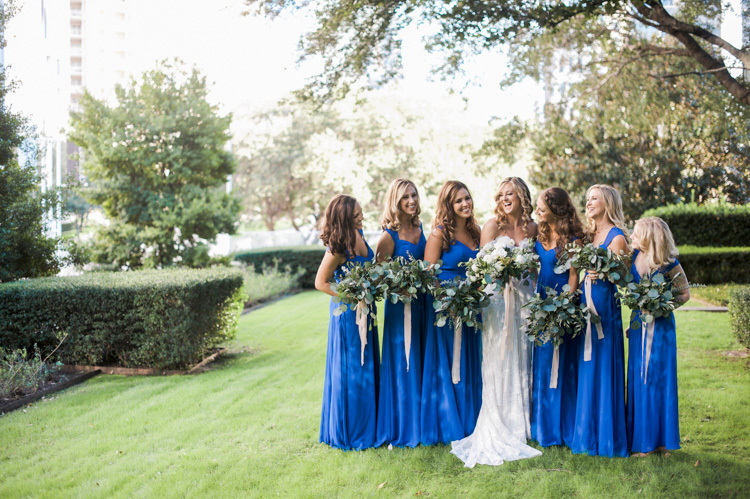 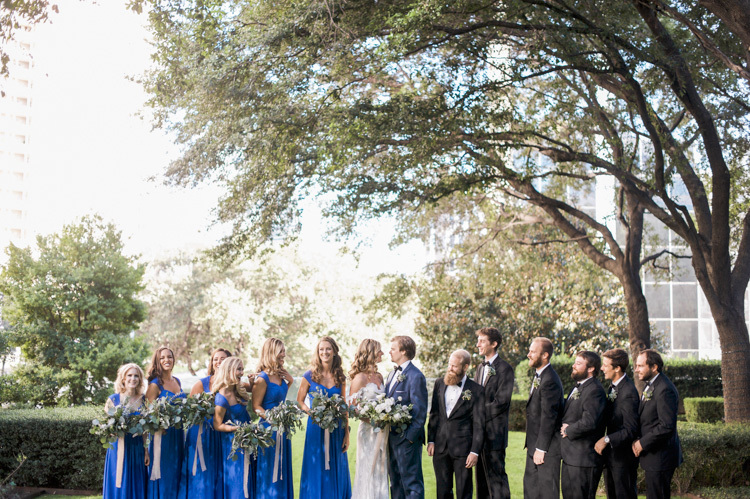 This luxury Dallas wedding was one for the books!